For Cricket lovers, after IPL 2017, it is going to be - ICC Champions Trophy. The interesting tournament sees the return of the national colours as the biggest names in the business drop their franchise colours and assemble under the country's flag. While India and Australia are being pegged as the two likeliest to meet in the final, there will be teams like hosts England, eternal darkhorse New Zealand, fighters Lankans, famed enemies Pakistan and choker tagged South Africa, apart from once mighty West Indies – picking the winner is not easy !! Hosts England will kick-start the tourney against Bangladesh in London on Thursday before the much-awaited rivalry between India and Pakistan on June 4. At Computex 2017, Intel made a series of major announcements regarding their latest high-end processor offerings. This included the introduction of a new X-series of processors which are designed to be the company’s high-end performance platform for power users and prosumers. The creation of the X-Series comes as Intel starts to feel heat from the competition . The new X-series processor family, code-named Basin Falls, represents an entirely new approach from Intel to addressing the high-end of the desktop computing market and will make Intel loyalists very, very happy. With the new X-Series of processors from Intel, the company creates a clearer differentiation from their mainstream desktop Core series processors. Why are we reading about Intel & Technology in a Cricket post ? 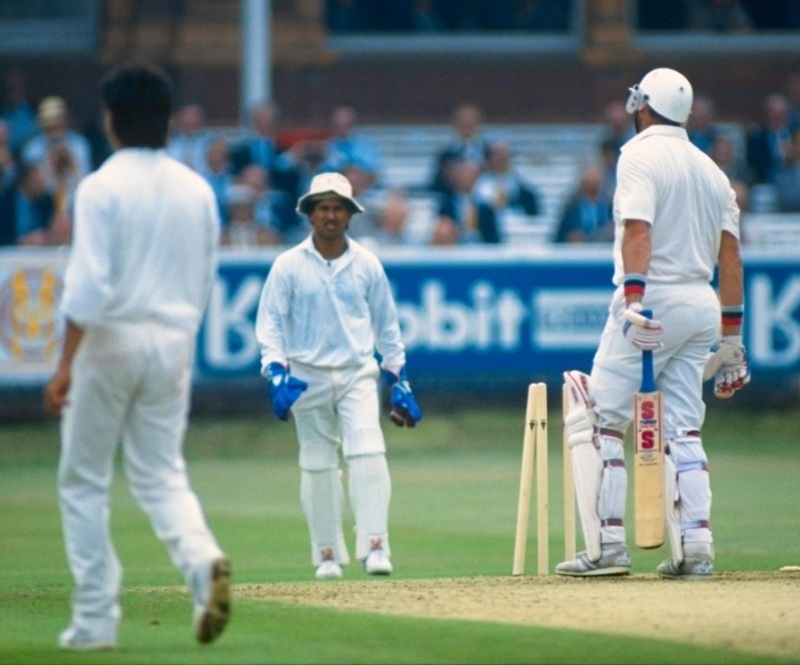 Way back in 1990, when India toured England, Manoj Prabhakar for sure would not have hyped the dismissal, clean bowled - Graham Gooch walked back to the pavilion at Lord’s having scored 123 off 113 deliveries with four sixes; earlier in the 1st innings, he amassed 333. Seeing him play with enormous backlift, one thought a Yorker length ball could easily get through his defence – but all Indian bowlers toiled without success as he scored > 450 in a Test. Now can you tell, what groups - England trio of Jason Roy, Alex Hales and Ben Stokes with Indians Rohit, Ajinkya Rahane and Ravichandran Ashwin ? In earlier days, some players on their return to the pavilion would glance through the scorecard, which at best would reveal the pattern of dot balls, the run scored in singles, and the like – more mundane – today’s players have the benefit of watching the way they played through video analysis; event the scoring runs on programmes that provide lot interesting inputs. That is set to change to a different level, as in this Champions trophy, select players will have chip sets installed on the handle of their bats providing coaches, broadcasters and fans immediate data on every shot they play. The chips will give viewers data that has never been available before ! ~ such level of data analysis has never been available before but up to six players in each of the eight teams in the tournament have agreed to have the chip attached to their bats. The chips, developed by Intel, are approximately the diameter of a pound coin, weigh less than 25 grams and sit on top of the handle. They contain sensors that will give an instant read out on bat speed, the speed of the bat at impact with the ball, the angle of the back-lift, the angle of the bat and more.. .. it is the child of Technology giant Intel Corp. that provides previously unseen precise details about a player’s bat speed and angle of back-lift. It is not bats alone, Intel technologies has announced advanced pitch analysis by an Intel drone, profiling the bat swing using a bat sensor and a virtual reality (VR) packed experience for the fans at the stadiums. The Intel Falcon 8 Drone, equipped with HD and infrared cameras, will be used for advanced pitch analysis before every match. Intel has packed its technology onto the Intel Falcon 8 drone, that comes fitted with HD infrared cameras, which can be used to analyse the pitch. Images captured by the drone will offer rich visual data on pitch conditions such as grass cover, grass health and topology, which will be used to generate daily pitch reports leveraged by commentators during broadcasts. It is all happening, as we wait for the Champions Trophy ~ and will India repeat its previous performance ! With regards – S. Sampathkumar 31st May 2017.